ARCNET, once quite popular in office automation, has reinvented itself into an embedded networking technology that is frequently found in applications such as industrial control, building automation, transportation, robotics and gaming. Like Ethernet and Controller Area Network (CAN), ARCNET is a data-link layer technology with no defined application layer. Designers write their own application layer to meet their particular needs and frequently do not advertise the fact that ARCNET is being used in their product. ARCNET incorporates a token-passing protocol where media access is determined by the station with the token. When a station receives the token, it can either initiate a transmission to another station or it must pass the token to its logical neighbor. All stations are considered peers and no one station can consume all the bandwidth since only one packet can be sent each token pass. This scheme avoids collisions and gives ARCNET its greatest advantage in real-time applications — it is deterministic! By being deterministic, the designer can accurately predict the time it takes for a particular station to gain access to the network and send a message. This is of particular importance for control or robotic applications where timely responses or coordinated motion are needed. 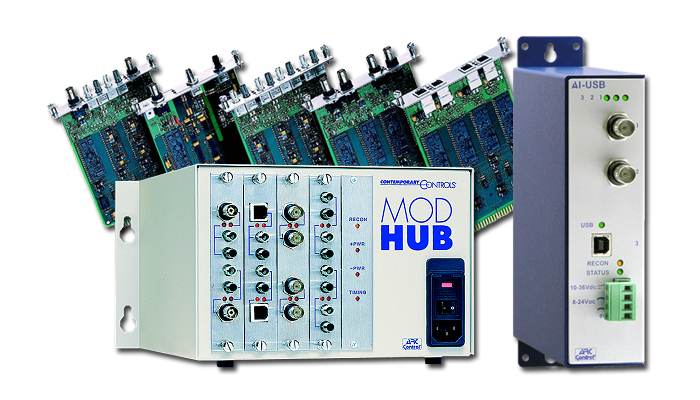 Contemporary Controls manufactures network interface modules, active hubs and ARCNET servers to Ethernet within its ARC Control product line-ARCNET for Control. Each ARCNET node requires an ARCNET controller chip and a cable transceiver suitable for the cabling technology being used. 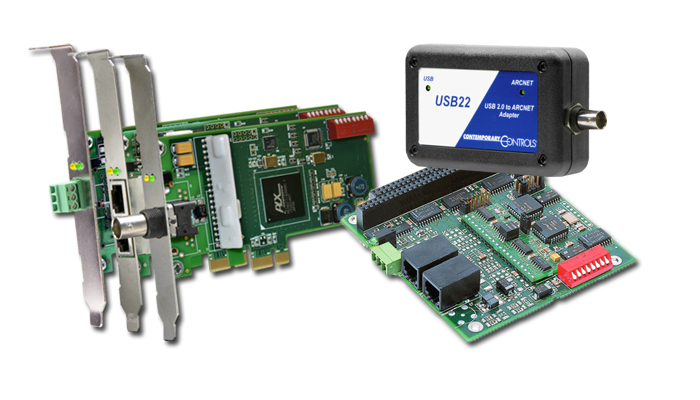 Our ARCNET NIMs can make the connection between an embedded ARCNET network and any of the popular commercial bus structures including ISA, PC/104, PCI, USB and PCI Express, x1 Lane. 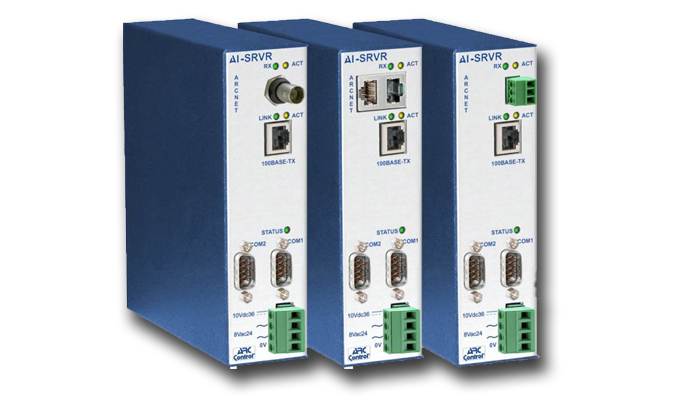 Repeaters effectively double the length of a bus network by connecting two of the same cabling technologies together. Links allow two bus segments to be extended through the use of fiber optics. Hubs also provide for geographic network expansion and media conversion while allowing for star topology. Cascading hubs creates a distributed star topology thereby offering the greatest flexibility in cabling. Legacy ARCNET systems can still be retained while migration is being made to Ethernet networks. By using ARCNET servers, convenient access to ARCNET networks is possible.